Materials for Concrete Pavers Tile Tech Inc. The natural stone used in concrete pavers can greatly vary when it comes to density. The degrees of density can have ranges from harder to softer types of stones. The available textures may include glossy, smooth, and slightly rough surfaces. The natural stone material variety are usually applied to the garden borders, pathways, and garden steps. With numerous available shapes, sizes, and colors, you are bound to have something that can definitely suit your household improvement needs. The concrete pavers are typically produced to help you imitate the appearance of the clay brick pavers. These are usually created using a combination of two primary ingredients. These are aggregate and cement. These pavers are typically available in numerous styles so the materials can suit numerous application varieties. There is a large range of colors that you can choose from. There are a lot of color choices because of the available dyes. However, you are advised to use the color sealants for the pavers. This can help you maintain and preserve the vibrant color upon initial installation. The main advantage of using the concrete pavers for the patios, walkways, and driveways is the fact that the repairs may be easily accomplished. You only have to consider the issues that revolve around the unwanted pavers. After that, you simply have to replace these unwanted pieces. The poured slabs for the concrete pavers may be stamped using a pattern. 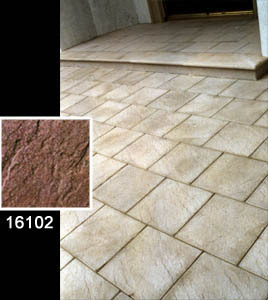 This can result in a flagstone paver stone or brick paver stone imitation. You can produce the colors that you want to have using the pigmentation and the dyes. However, you should take note that the colors will eventually fade after a certain period of time. The stamped and poured concrete is considered as commonly utilized concrete paver materials. This may be applied to the walkways and the driveways. The main reason for the popularity of these materials is the low cost. This is in comparison to the other types of available materials. The material cost may be considered quite low to begin with. However, the involved costs may be considerable if you start to think about the maintenance needs. Maintaining the stamped and poured concrete will involve the regular sealing and cleaning of the surface of the material. In this regard, the actual costs of the materials will take effect if you have to hire professionals to do the job for you. In some cases, you have to perform repouring. Natural stone can vary in density, from softer to harder types of stone. The textures available can range from smooth to glossy to quite rough surfaces. Natural stone is commonly applied to garden steps, pathways and garden borders. With a variety of colors, sizes and shapes available, there is bound to be something to suit your needs. Concrete pavers are produced to imitate the look of clay brick pavers. They are made with a combination of two main ingredients; cement and aggregate. 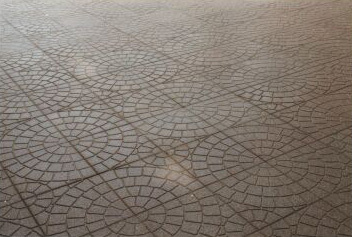 Concrete pavers are available in a variety of styles to suit a variety of applications. There is also a large range of colors to choose from, through the use of dyes. It is however recommended that you use color sealants on concrete pavers, so as to preserve and maintain the vibrant color, when first installed. The advantage of using concrete pavers for your driveways, walkways and patios, is that repairs are so easy to do. It is simply a matter removing the unwanted paver, then replacing with a new one. Poured concrete slabs can be stamped with a pattern, resulting in an imitation of brick or flagstone paver stones. Colors can be achieved with the use of dyes and pigmentation; the colors may tend to fade over time. Poured and stamped concrete is a commonly used paver material; it can be applied to your driveway and walkways. The reason why it is so popular is mainly due to the low costs involved, compared to other types of materials. The costs may be quite low to start off with; however, the costs involved when it comes to maintenance can be considerable. Maintaining poured and stamped concrete involves, cleaning and regular sealing. The real costs occur if you need repairs done. Concrete is difficult to repair, for it is sometimes necessary to re-pour from start to finish. Clay pavers have proven to be one of the most durable types of paver material. It is a material that has been used for thousands of years, and continues to be popular today. The standout benefit of using clay pavers is their long-lasting vibrant color. Because clay is a natural material, it maintains its natural bright color, and will never fade. The colors range from dark charcoals, browns, reds and even pink shades.Clay pavers are also available in a wide variety of shapes from the traditional rectangle to bullnose, boardwalk and interlocking octagonal ones. There is a variety to suit any individual taste. Block pavers are used to permeate water while maintaining the look of bricks or stone paver materials. By inserting channels in-between the joints of each block paver, the water will flow down and gradually permeate into the soil beneath. These permeable pavers are often used for driveways, walkways and terraces. Some manufacturers produce pavers in various shapes and patterns, which allows water to filter down slowly.